Buy this item and earn 25 points valued at $2.50. 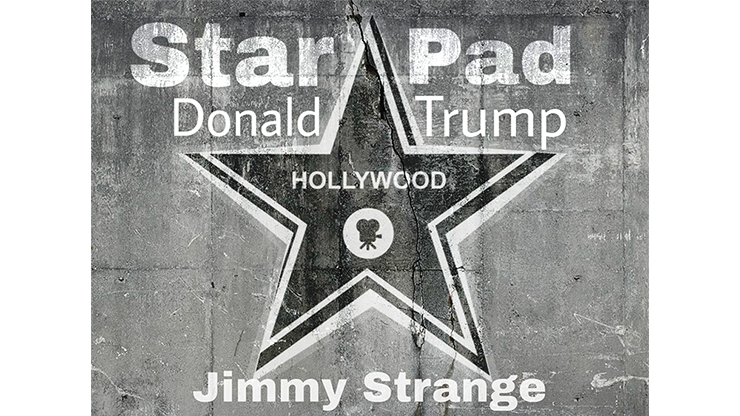 Star Pad Donald Trump by Jimmy Strange Trick. Jimmy Strange is proud to present his newest effect, Star Pad! Fast and friendly service is what we do. Every order is carefully packed and shipped to you promptly by our courteous staff. We offer the best deals and service in the industry. We do this full time, and are readily available and respond quickly. Give us a try, and let us impress you. Free Shipping? - YES! We offer free shipping, just spend $40 or more, and we pick up the tab. Discounts? - YES! You get 10% back on every single order. Best discount plan in the magic industry. Not happy with an item? - If you open it and you are not 100% satisfied, send it back to us! It's that simple. 100% satisfaction guaranteed. Shop with confidence. We are here to make you happy!